Welcome to ProppantMarketReport.com. This website provides access to the most accurate proppant report in the industry. 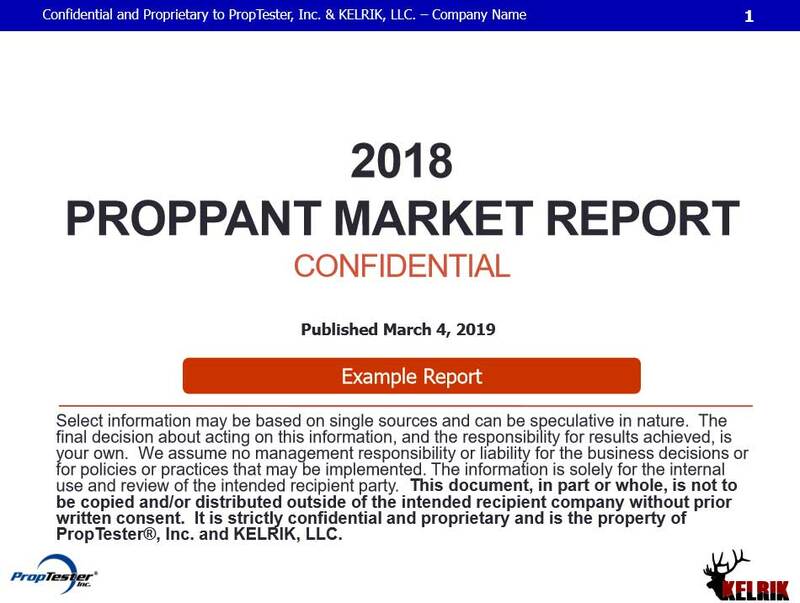 The Proppant Market Report is produced by PropTester, Inc. and KELRIK, LLC and 2018 marked the 13th annual distribution. The contributing authors have over 100 years of direct experience in the production, testing, sale and use of all types of proppants. Market intelligence for this granular report is gathered directly from proppant providers throughout the year to provide customers with current industry data needed to make key business decisions. Upon purchasing, customers have access to vital information including in-depth historical utilization by proppant type, summaries on over 100 proppant producers worldwide, as well as individual plant locations with proppant types and capacities. For further information or to purchase the report, click here.